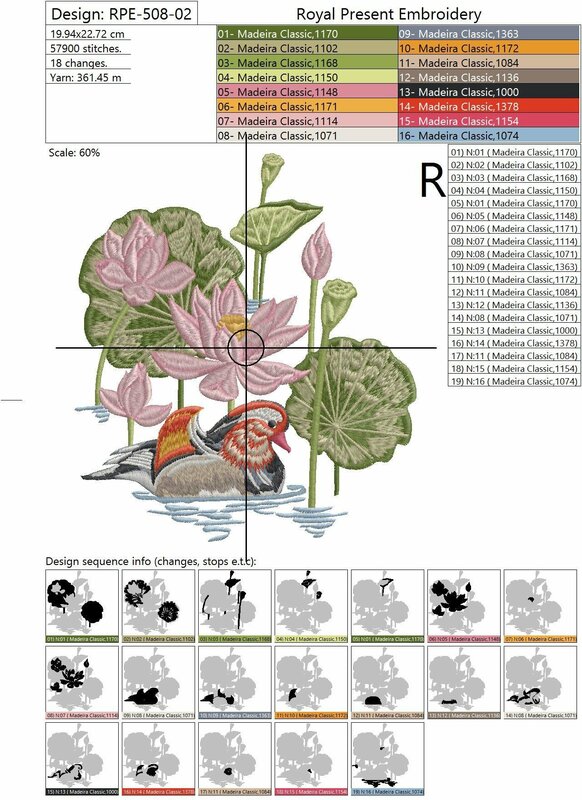 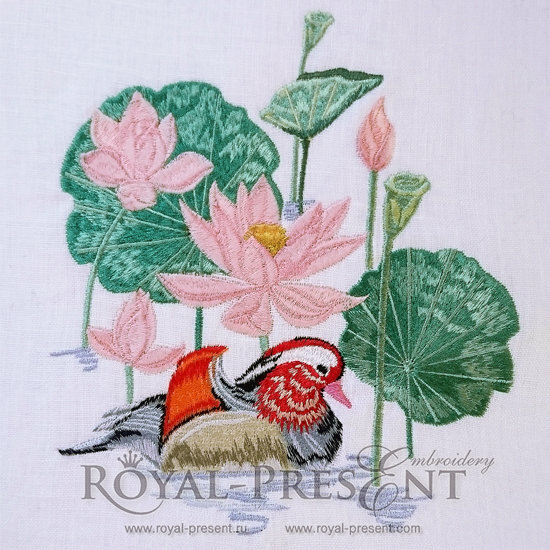 Machine Embroidery Design Lotus pond and mandarin duck. Table-tops and decorative runners will make interior of dining room feel more charming and whimsical. Bedding sets with lotuses blooming on pillowcases and coverlets will make bedroom more inviting. 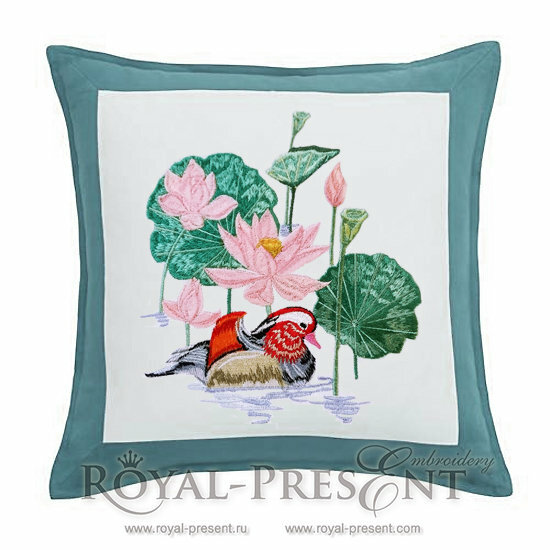 Indulge yourself with elegance and style, infusing refined oriental aura of this embroidery in interior of your home.